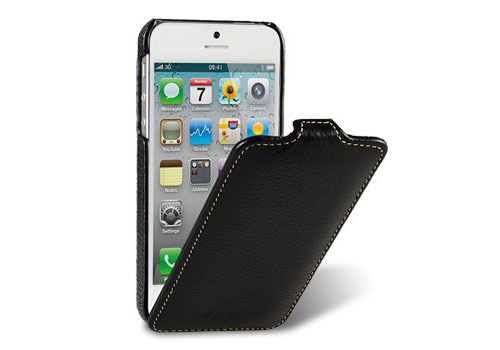 Ionic CONTOUR Flip Leather Case for iPhone 5 by CrazyOnDigital is designed for the 5th generation iPhone. 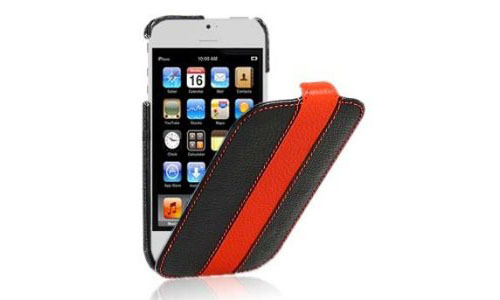 Made of high quality leather, this new iPhone 5 case has a very stylish design available in Black/Red and Red/Orange. 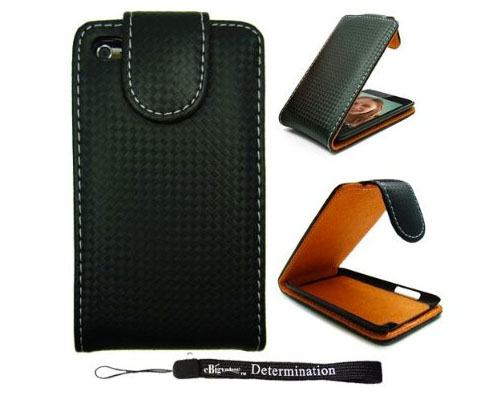 This leather iPod Touch 4g case is a flip style protective case. Made from quality synthetic leather, the stylish protective case has a camera cutout and allows complete access to all ports and buttons. This leather iPod Touch 4 case also includes a strap. 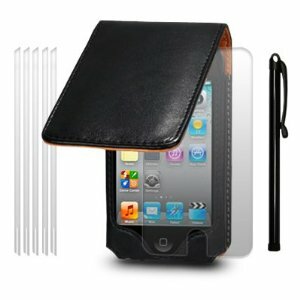 This iPod Touch 4 Leather Flip Case With Stylus by Qubits also includes 6 screen protectors. The lightweight premium PU leather flip case is designed to allow full access to all ports and controls, even the camera. The complete pack is now available for only $25.95.